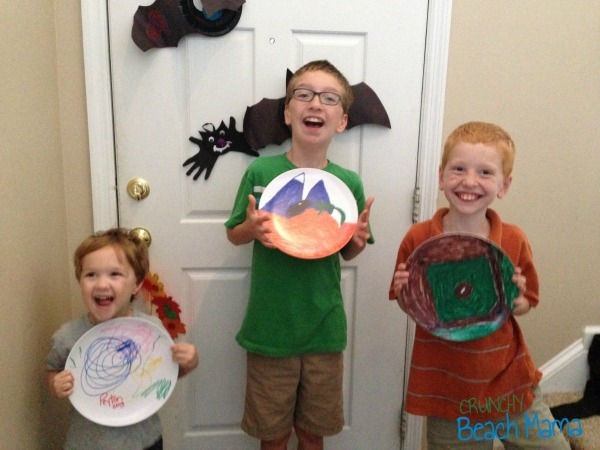 Makit ~ Make a Plate Kit Company | More Crunchy Beach Mama! I like when the boys make something for members of our extended family at Christmas. Sometimes we will go to a paint your own pottery place. Last year we made beeswax candles. This year I found a neat idea to make plates! It’s a great idea this company has come up with. They send you a kit which is actually quite affordable compared to a paint your own pottery place, especially when you buy multiples which is what I would do for gifts. Not bad right? It gets better! Use promo code: USFAMILY and save another 30%! Your kit comes with markers to draw and 25 templates you to get creative and decide which is your best masterpiece to turn into a plate. 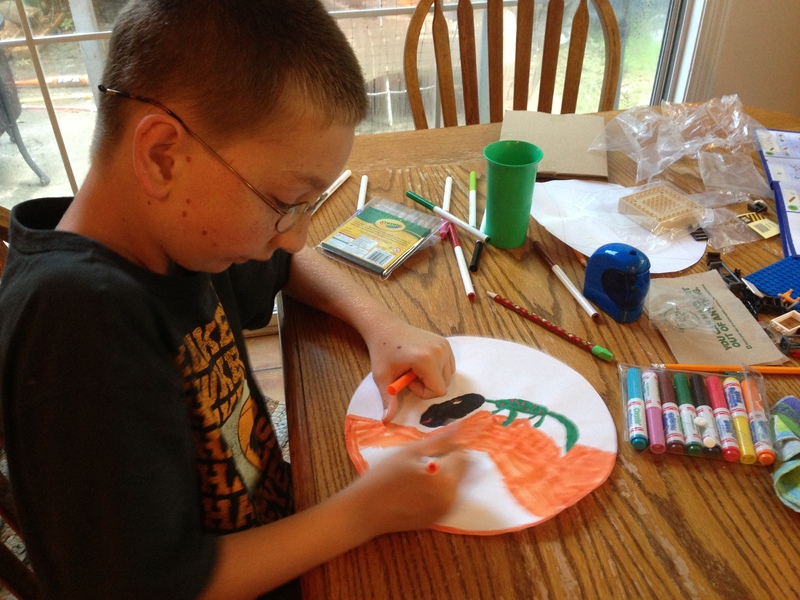 My boys had a great time at the table making their plates and when the finished product arrived they were thrilled! 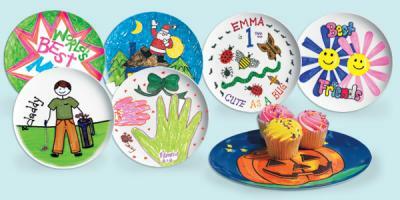 All Make A Plates are nontoxic, BPA-Free, dishwasher safe and proudly made in the USA! Check out MakIt.com and get started today! I was sent these plates for review. All opinions are my own.